All of our partners are working hard to end hunger in our communities. No matter what your questions may be, we’re looking forward to hearing from you. Please use the contact form below to get in touch, and we’ll be sure to get back to you as soon as possible. 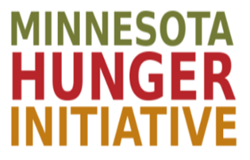 If you’d like to receive regular email updates from the Minnesota Hunger Initiative, please subscribe to our mailing list!